Myofascial Release is a highly specialised stretching technique used by Physiotherapists to treat patients with a variety of soft tissue problems. To understand what Myofascial Release is and why it works, you have to understand a little about fascia. Fascia is a thin tissue that covers all the organs of the body. This tissue covers every muscle and every fibre within each muscle. All muscle stretching, then, is actually stretching of the fascia and the muscle, the myofascial unit. 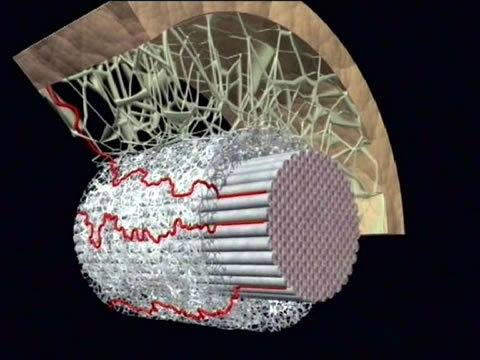 When muscle fibres are injured, the fibres and the fascia which surrounds it become short and tight. This uneven stress can be transmitted through the fascia to other parts of the body, causing pain and a variety of other symptoms in areas you often wouldn’t expect. Myofascial Release treats these symptoms by releasing the uneven tightness in injured fascia. In other words, Myofascial Release is stretching of the fascia. The stretch is guided by feedback the therapist feels from the patient’s body. This feedback tells the therapist how much force to use, the direction of the stretch and how long to stretch. Small areas of muscle are stretched at a time. Sometimes the therapist uses only two fingers to stretch a small part of a muscle. The feedback the therapist feels determines which muscles are stretched and in what order. Each Myofascial Release technique contains the same components. The Physiotherapist finds the area of tightness. A light stretch is applied to the tight area. The Physiotherapist waits for the tissue to relax and then increases the stretch. The process is repeated until the area is fully relaxed. Then, the next area is stretched. The therapist will be able to find sore spots just by feel. Often, patients are unable to pinpoint some sore spots or have grown used to them until the Physiotherapist finds them. The size and sensitivity of these sore spots, called Myofascial Trigger Points, will decrease with treatment. Most patients are surprised by how gentle Myofascial Release is. Some patients fall asleep during treatment. Others later go home and take a nap. Most patients find Myofascial Release to be a very relaxing form of treatment. Myofascial Release is not massage. Myofascial Release is used to equalize muscle tension throughout the body. Unequal muscle tension can compress nerves and muscles causing pain. Progress is measured by a decrease in the patient’s pain and by an improvement in overall posture.